Scroll down to see what Patrick's been up to recently. 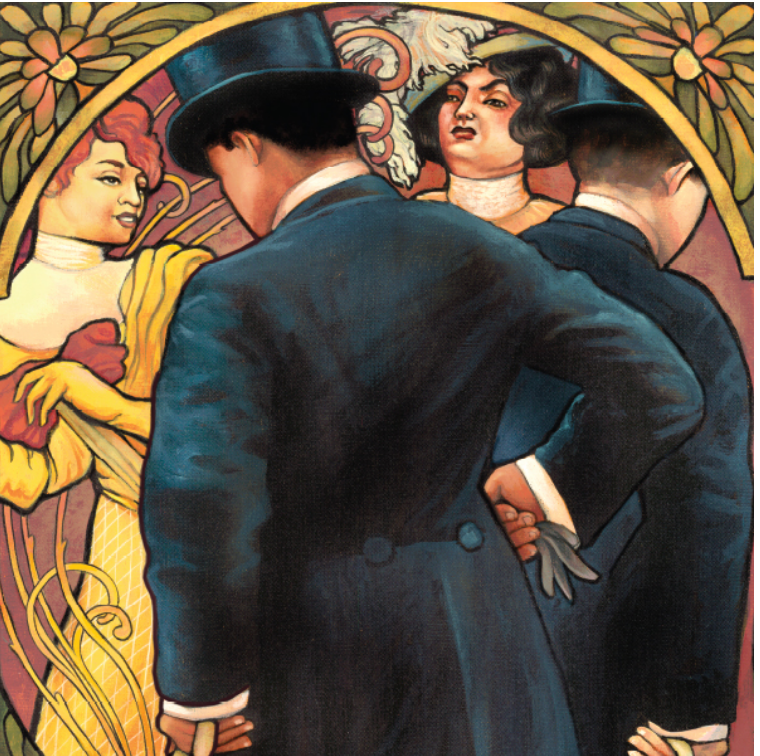 Patrick is acting in a full production of THE IMPORTANCE OF BEING EARNEST at the Aurora Theatre in Berkeley, CA. Now through mid May. Tickets HERE. Patrick will be appearing in a Playwright’s Foundation reading of BREAKOUT SESSION (OR FROGORSE) on March 11th at Stanford University and March 12th in San Francisco, CA. Details HERE. After a 2 year hiatus Patrick is back on social media in one very specific way: sharing small white board drawings about historical events. Drawn and displayed at a middle school front desk. Check out @onthisdryerasetory. Patrick performed with Playground for their Monday night reading series in Berkeley, CA on January, 21st 2019. More details HERE. Patrick will be performing in the staged reading of Jonathan Spector’s new play THIS MUCH I KNOW on Monday, January, 14th and Tuesday, January 15th, 2019. Details HERE. Patrick returns to act in another Monday Night Playground at Berkeley Rep. on December 17th, 2019. Click HERE for details. Patrick did the drawing and George Babiak did the color and layout for the next show presented by the 52nd Street Project in New York City. Look for the poster on the corner of 52nd Street and 10th Avenue in Manhattan. More info on the show is HERE. 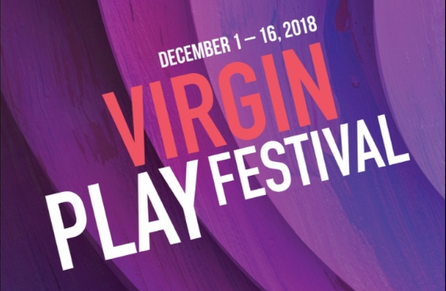 Patrick will be performing in the staged reading of FOUR CORNERS by Ashlin Halfnight during the Magic’s Virgin Play Festival on Sunday, December 9th at the Fort Mason Center for the Arts in San Francisco, CA. 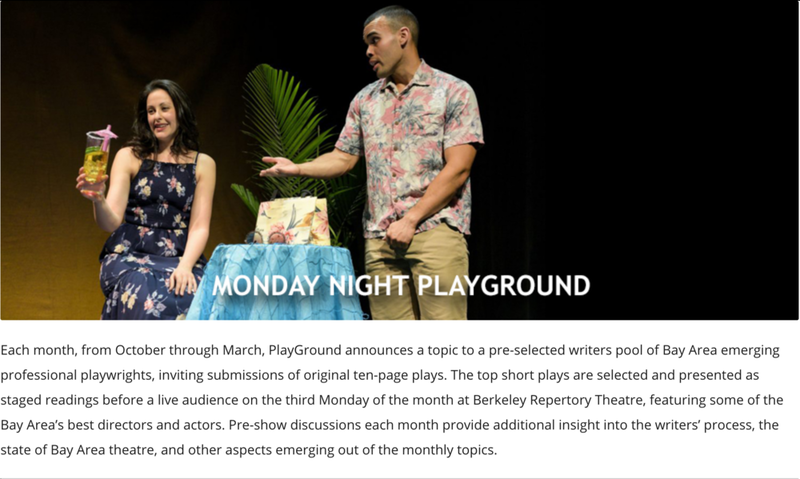 Patrick will be performing with PlayGround for their Monday night staged reading series. Come check out the show at Berkeley Rep on Monday, Oct.15th, 2018. Click here for details. Patrick, his wife Katie, the drama students have started designing and building some props (see adjacent photo) and set pieces for Alta Vista Middle School’s fall production of The Odyssey. It’s an abridged version of Mary Zimmerman’s adaptation of the classic poem. There’s plenty of cardboard, felt, hot glue and imagination to spare! The show goes up mid November, 2018. Patrick's new plays, COPY CAT and SPINNING will be read by professional actors at the Shotgun Studios at 1201 University Ave. in Berkeley, CA on Monday July 2nd, 2018 at 7pm. Admission is free. Wine and chips will be served. Feel free to message Patrick with any questions about the event. Just click on CONTACT in the header above. Patrick illustrated the posters for the 52nd Street Project's summer plays. George Babiak did the layout. Check them out on display on the corner of 52nd Street and 10th avenue in NYC and then go see the shows. More info HERE. Patrick is performing in a staged reading of the new play BOTTICELLI IN THE FIRE at the Shotgun Players in Berkeley, CA. Tickets and information HERE. Patrick and his wife Katie conceived, designed and built the set for the spring play with the help of several AVS students. Katie also directed. Junie the dog is the canine stand-in in the photos. Patrick is performing with StageWrite, an organization that teaches playwriting to public school students in San Francisco. StageWrite presents a spring showcase of student work performed by professional actors along with a live rock band! Patrick got to draw the cover for Alta Vista School's 2017/2018 yearbook. The drawing is of a Rube Goldberg machine that contains elements that represent the lower and middle school. The student-run yearbook committee gets credit for the cover idea. Patrick just drew it!